The best things in life are fermented. Wine, cheese, chocolate, gin, bread — the list goes on! Ferment Festival was held over the weekend in Rundle Park and highlights all of these amazing treats from around South Australia. The park was filled with food stalls, bars, and fairy lights creating a chilled out place to taste test to your hearts delight. 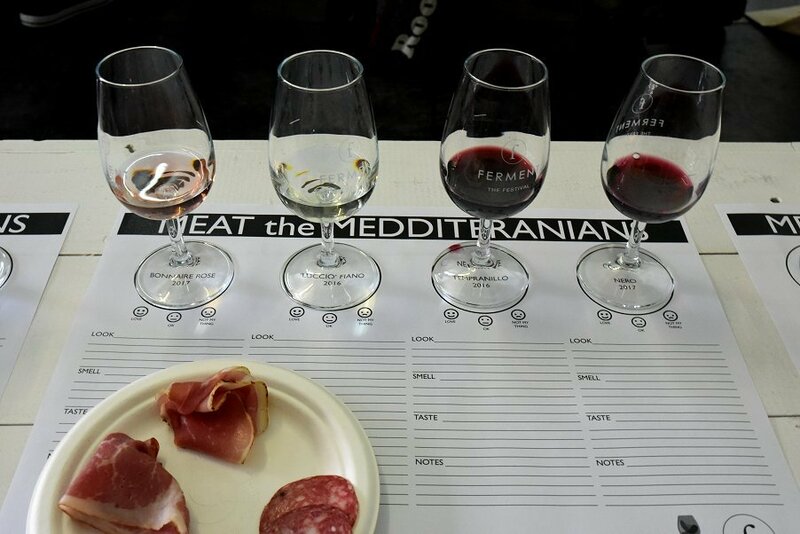 We headed to a gourmet master class: Meat the Mediterranean, which taught us how to choose the perfect charcuterie for our wine. Honestly, at this point in my life I thought whites, reds, and roses could be best consumed with takeaway pizza. But I’ve been proved wrong, learning how different flavours in the meats can create a different experience from the same wine. 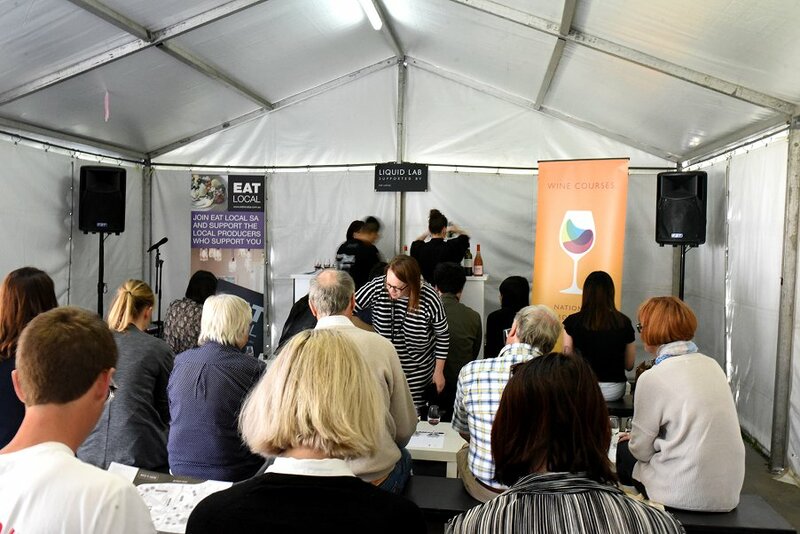 The meats were provided by Barossa Fine Foods, while the wine was selected from wineries across the state. The class was hosted by the National Wine Education and Training Centre, who are experienced in all things wine. The teachers and the students embarked on the experience together, tasting each meat and comparing the tastes of each wine. The trial and error allowed us to see what can be perfectly matched, and what can ruin your dinner party from the get go. There are five core components to taste that can be accentuated through matching the right meats with the best wine. This includes sweetness, sourness, bitterness, saltiness, and umami [savoury taste], which were all explored throughout the master class. We began with a Terrine Pate that was light in flavour and slightly salty. Barossa Fine Foods creates a unique flavour by washing the liver meat and combining it with cheek meat. It was matched with the 2017 Bonnaire Rose from Dune Estate, which had sweet, candy notes with hints of strawberry and cherry. The flavour combination brought out the sweetness in the wine and reduced the acidity. The Smoked Wagyu Beef was paired with the 2016 Fiano from Pikes Winery. Hints of tropical fruits and citrus made this light and tangy white wine a stand out. Fiano is a newly explored variety of grape that is becoming more popular to create a light white wine. The beef matches perfectly with a subtle flavour, which highlights the sweetness of the wine. The Barossa Fine Foods Salami has a unique taste created through the fermentation process that matures the meat and strengthens the flavours. It takes four to six weeks for the meat to be fully cured and ready for sale. The salami was paired with the Nepenthe 2016 Tempranillo. The smooth Tempranillo had herby aromas that paired well with the peppery taste of the salami. The Prosciutto was the strongest meat that is smoked with thyme and rosemary, using beach wood and red gum to give it a distinct taste. It was paired with the Coriole Estate 2017 Nero. The red wine had the strongest flavour profile, which paired perfectly with the saltiness of the prosciutto. The class was a small insight into the interesting world of food pairings, and opened my eyes – and mouth – to the perfect charcuterie board.